The Guardians of the Galaxy are back to save the galaxy that can only mean one thing: Star-Lord & Co. can charge more. Okay, so maybe it can mean more than one thing. Everyone’s favorite motley crew of misfits return in the final Guardians of the Galaxy Vol. 2 trailer and it hits every beat. Star-Lord (Chris Pratt) is roguishly charming as always. Gamora (Zoe Saldana) is badass as ever and appears to have stolen Dwayne Johnson’s machine gun from Furious 7. Drax (David Bautista) is still isn’t afraid of anything. Nebula’s (Karen Gillan) no-nonsense determination is still seething. Yandu (Michael Rooker) is never far away. Rocket (Bradley Cooper) still only cares about the score and Baby Groot (Vin Diesel), well, of course he steels the trailer. 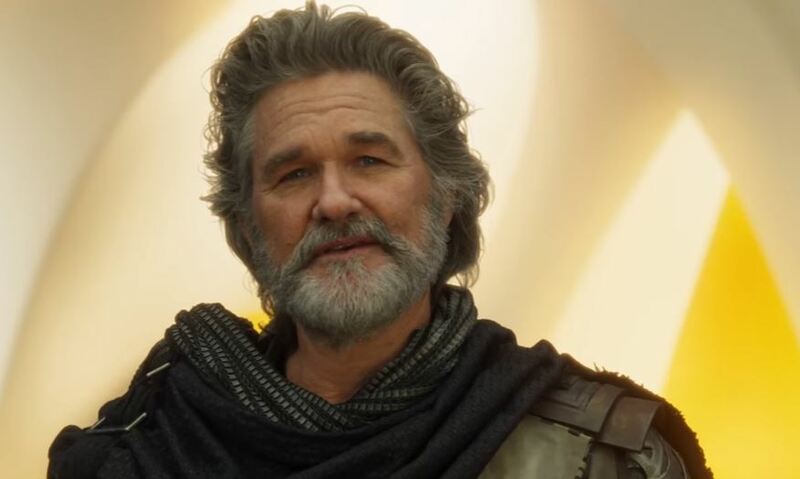 It shouldn’t be any surprise that the trailer’s cliffhanger follows through on the family theme with the appearance of Star-Lord’s father Ego (Kurt Russell). Watch the Guardians of the Galaxy Vol. 2 trailer below!